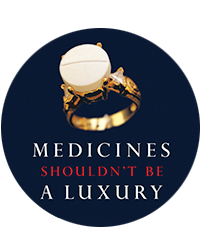 The 12th edition of ‘Untangling the Web’, Médecins Sans Frontières’ annual analysis of antiretroviral (ARV) price reductions is upcoming. This paper serves as a pre-publication price analysis, offering highlights of the major ARV price decreases - including for tenofovir disoproxil fumarate (TDF), efavirenz (EFV), lopinavir/ritonavir (LPV/r) and paediatric lamivudine/stavudine/ nevirapine (3TC/d4T/NVP). It also features the first published price of a new ARV class, the integrase inhibitor, of which raltegravir (RAL) is the first marketed compound. For the most up-to-date pricing information, please visit Untangling the Web online.